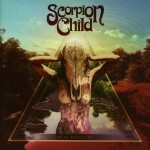 Share the post "Album review: SCORPION CHILD – Acid Roulette"
Second album by Scorpion Child, a five piece hailing from the US consisting of Aryn Jonathan Black (vocals), Christopher Jay Cowart (guitar), Jon “Charn” Rice (drums), Alec “Caballero” Padron (bass) and Aaron John “AJ” Vincent (keyboards). This is a concept piece based on “the story of a doomed love that lands the male protagonist behind bars while his wife lives out an affair with her wealthy lover”. The story line gets off to a rousing start with ‘She Sings I Kill’. Close your eyes and it could be a 70′s rock giant like (early) Rush or Deep Purple in their prime, mixed with Wolfmother) mainly in the high octave vocals). This band love a musical workout, particularly a stonking Hammond solo as can be heard on the title track. If Deep Purple did stoner rock they would sound like this. Let the intro to ‘Addictions’ wash over you, some very impressive keys playing and the guitar riffs on this one are bigger than the Shard! This entry was posted in ALBUM REVIEWS, ALBUM REVIEWS (Mobile), All Posts and tagged Acid Roulette, album, Black Sabbath, Deep Purple, review, riffs, rock, Rush, Scorpion Child, Stoner. Bookmark the permalink.